BANFF, ALBERTA, Canada – Make your Canadian Rockies family vacation all the more memorable with a thrilling Alberta rafting trip. We take you down some of the most exciting rivers for Jasper and Banff rafting spots so you can enjoy a safe but unforgettable experience. Let our experienced guides show you the best of Canadian Rockies whitewater rafting in the Kananaskis! Our Kananaskis Float Trip is perfect for Seniors, young families, or those who would like to experience the beautiful scenery of Kananskis country without getting wet. 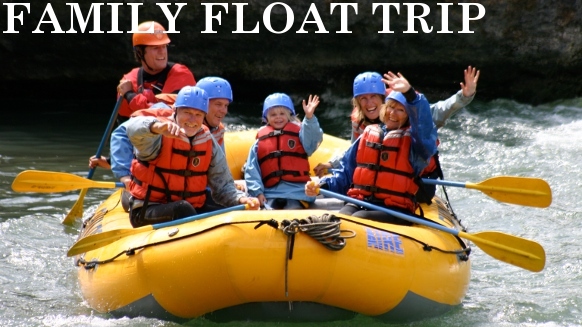 This is a gentle rafting float trip that offers great scenery and calm waters. Listen to stories of the area’s natural history as you glide thorough unforgettable vistas with our knowledgeable guides. The river is equally accessible from Banff, Canmore, Calgary and Edmonton, winding its way through the beautiful Kananaskis country. There is no whitewater on this tour. Book Your Kananaskis Family Rafting Trip Today! If you’re looking for that perfect family day trip filled with great photos and memories on your Canadian Rockies vacation, don’t miss this opportunity! We bring you the best whitewater rafting in Jasper, Banff National Park, and the Kananaskis. It’s an experience you’ll cherish for years to come! Wanna check out the local weather before you visit Canmore, Jasper or Banff, Alberta? Check out our live 360° webcams at CanadianRockies.net!